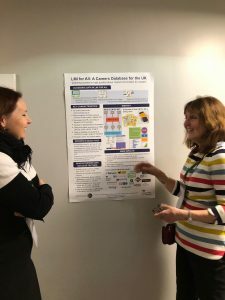 Jenny Bimrose presented at the National Institute for Career Education and Counselling (NICEC) international conference in April 2019 on LMI for All. She examined the integration of labour market information (LMI) with information communications technology (ICT) as a case study of the changing professional identity of career practitioners. Drawing on two major research studies, this workshop focused on the influences of the changing nature, and integration of LMI into career practice through the use of ICT, on the professional identity transformation of career practitioners. New research on the educational psychology (EP) workforce conducted by the IER on behalf of the Department for Education (DfE) is now available online. The report draws on mixed-methods research to map the current distribution and demographic profile of the Local Authority (LA) EP workforce in England and, where possible, also the non-LA EP workforce. It provides evidence on factors driving shortages of trainee and qualified EPs in LAs facing recruitment and retention difficulties. It also makes recommendations on the current training model for EPs.